Please let us know what kind of features do you want. We will add them per your request. Now, some new features already under developing. Such as time, date format. Previously, we just have ISO standard format. Per request, we add the option for users and board administrator. 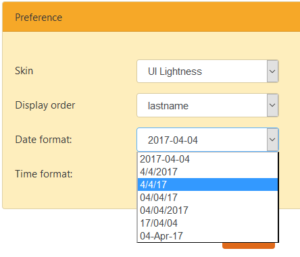 The board administrator and setup the default time, date format. 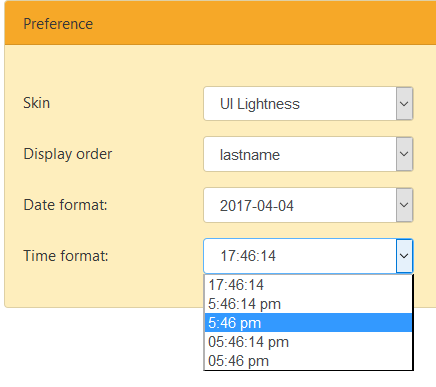 The new user will take the default values as their own format. Every user can change it at User Control Panel. We already have a list of new features need to be added into FreeInOut Board system. FreeInOut Board system v 17.1.0 is going to be available in this weekend. 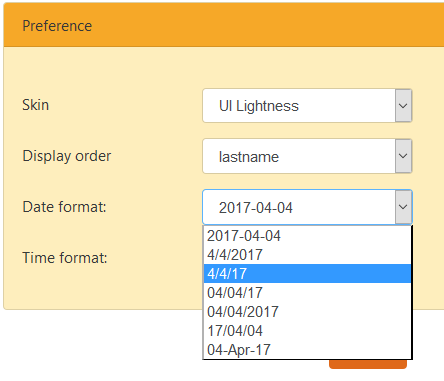 This entry was posted in Features and tagged date format, features, time format by admin. Bookmark the permalink. Have the ability to automatically change the status after an event in the calendar or even after changing your status for the day.